At Advanced Fencing Services we offer quality fencing services at affordable prices. We take time to ensure your fence is of the highest standard, providing excellent value for money. Fancy fencing yourself or feel confident to replace a broken panel, we can help with our supply only service. We offer a prompt, reliable and professional service for all new fences. We are constantly recommended by our previous customers. From side gates for your house or garden gates for the front of the home. No matter why you need a new garden gates we can help. We offer prompt, reliable and above all, professional services for all new fences erected. We are constantly recommended by our previous customers. 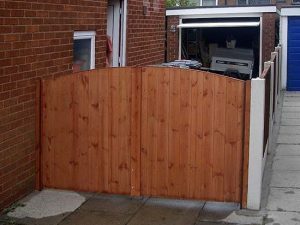 We provide high quality fencing / supplied and fitted, or if you prefer we are happy to work with products supplied by you. Advanced Fencing are proud to provide quality and guaranteed products alongside a professional and tailor-made service.